seeking refuge in nice, france. my plane landed in marseilles and i quickly found the train station and boarded the train to nice. i was still a little on edge from the morning’s events in tangiers, morocco, so i didn’t really enjoy the train ride or its scenery, unfortunately. but it was only a matter of time before the delicate side to side rock and roll of the train lulled me into a fast asleep. i awoke only minutes before the train pulled into the station. i exited and hoped it wouldn’t be too long before my friends had found me. i was tired of being on edge and i was tired of not being able to trust people. the morocco medinas had worn me out. i stepped out into the terminal and walked a few feet. i didn’t see my friends, but something else had momentarily captured my attention. nothing. people rushed around me, hurriedly trying to catch another train or grab a cab, music played softly overhead, and people navigated on autopilot while interacting with their cellphones. but no one cared that i was there. i may as well have been a garbage can, merely an obstacle to avoid, an object to tolerate but pay no mind to. no one was trying to sell me anything, no one in my face demanding that i purchase some item that i likely had no use for, no opportunistic agents persuading me to follow them down some darkened alley to a “hotel” i had no desire to stay at. i was completely anonymous, and not a single soul around me gave one ounce of a damn about me. i breathed a sigh of relief. i’d never been so happy to be among the french. it was time to leave paris. i had a few hours that i could kill before i needed to catch an overnight bus up to northern germany. luckily, before i had left the US, a friend of mine named kristen had tried to connect me with some friends of hers in paris. she had lived in the city for 2 years before eventually returning to the US last year. the last minute nature of my arrival had not done me any favors in meeting up with these folks, as they were busy with work and their lives, but luckily for me, one of these contacts had made a little bit of time for me on my last day to grab some lunch. i met david right as i exited the corvisart metro train stop in the 13th arrondissement. i stepped out of the doorway and looked at my surroundings. it felt nothing like the rest of paris that i had been to. this neighborhood was quiet, and almost hidden, except it was up on a hill. i got the feeling that this sort of an enclave off the beaten track, and david confirmed this for me. i was immediately engaged. we parked on a steep hill and walked up to a crowded little café called gladines. there was no seating except a small 4-seat table that was already occupied by 2 women. david humorously and conspicuously hovered over one of the seats and said something to one of the girls in french and charmed his way into getting permission for us to share the table. david is one of those guys you want to have on speed-dial in a pinch, in case you need something cool to do next weekend, or you have a girl you want to really impress and want to take her somewhere really cool, because he always has the lowdown on everything. if it’s a cool underground concert or an off-the-beaten-path coffee shop, or some badass burger joint (harder to find in europe than one might think) that people don’t know about yet, david knows about it. coming from chinese descent, he has a self-deprecating sense of humor but not without a sharp wit and a confident sense of his own style. david has a deep love for vinyl (another thing he can help you find a hotspot for), and he has a fashion style that hints “casual hip-hop,” which enables him to always wear a hat without looking like a douche. think less like pharrell and more like mos def. to put it coolly: david is cool without being “too” cool. 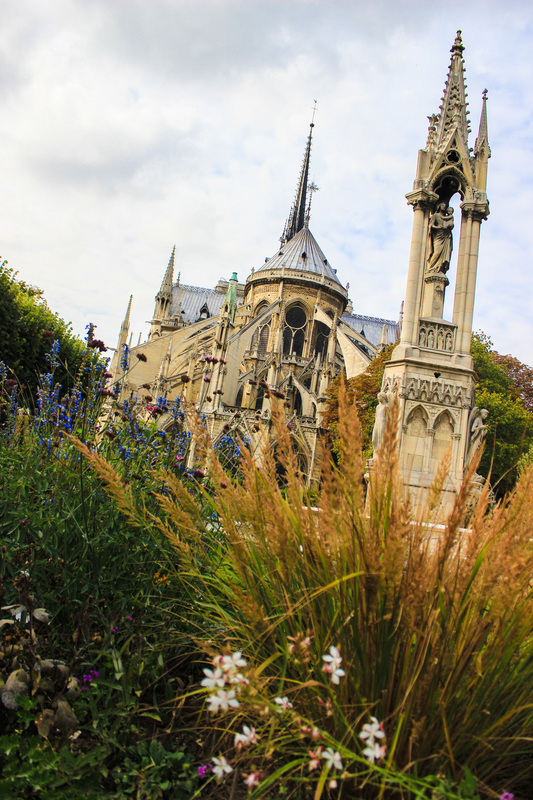 we talked a bit about my experience in paris, but eventually the conversation started straying more into where i was headed next, since i was bound for germany in only a few hours. david lit up like a christmas tree when i mentioned berlin, stating that it very well might be his favorite city in europe. about a year ago, david had been considering a move to amsterdam (obviously we connected on this topic as well, since we both love that city), as he was ready for a new location, ready for a change, etc. as he was starting to prepare for this relocation, he took a quick trip to berlin to check out the scene and almost overnight he fell in love. i’ll spare the details for now because berlin will be a future topic for this blog, but for david it appeared that he now had a bigger decision to make: amsterdam or berlin? unfortunately, that decision is still up in the air, as some opportunities presented themselves to his consulting business in paris and they have prevented him from leaving. but someday, it sounds as though berlin may be the city that steals david away from paris. david enthusiastically gave me about 10 places to go check out, including burger joints, coffee shops, vinyl shops (even though i don’t have the capacity to take records with me right now), cool unknown bars, and lastly he awakened me to the gloriously delicious doner kebap. i’ll explain what that is in later posts, but trust me, it’s a cheap street eat that is worth every cent you spend on it. eventually david had a meeting to get to and I had a bus to catch. but first, i decided to try and squeeze one final sight in before i left paris. david volunteered to drop me off at the cathedral at notre dame. i thanked him graciously for everything and promised we’d keep in touch, especially if it was possible for me to pass through paris again. i didn’t have much time so I was in “hurry up” mode while i systematically made my way around the historic cathedral. The structure is magnificent. construction began on the building in 1163 and has been in all sorts of conditions, as one can imagine after nearly 900 years (its hard for an american to even fathom this, as my country has been in existence for roughly 28% of the time the cathedral has), but today it stands brightly and majestically above the senne river, nestled neatly in the 4th arrondisement of paris. 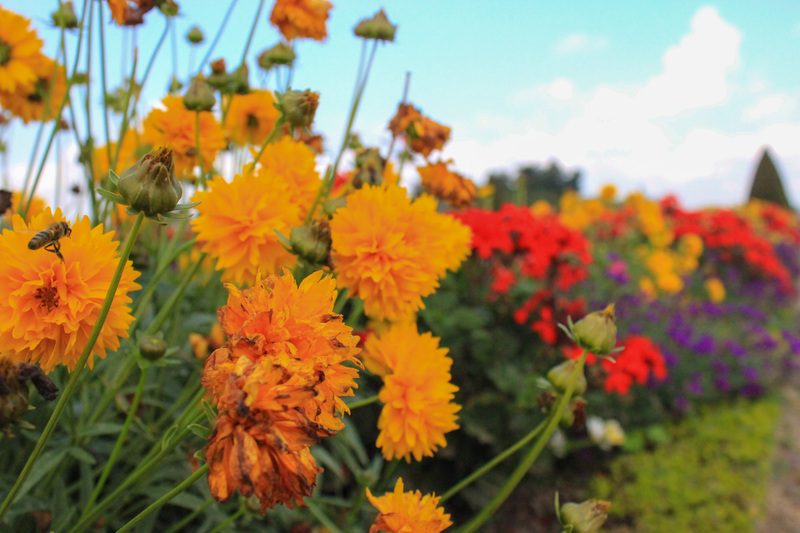 i didn’t have much time, so i hastily made my way around the grounds, snapping photos at anything that caught my eye. out back behind the cathedral is a quiet and quaint garden that i recommend anyone whom is looking for a break from the city check out. i would have enjoyed drinking a glass of wine and sitting on the lawn for a few hours. very relaxing. no man, the cathedral is over there. idiot. an hour later i was on my bus, bound for bremen, germany. it was going to a long ride, 11 hours, but it was an overnight journey and i was saving money by not renting a hostel bed for the night. 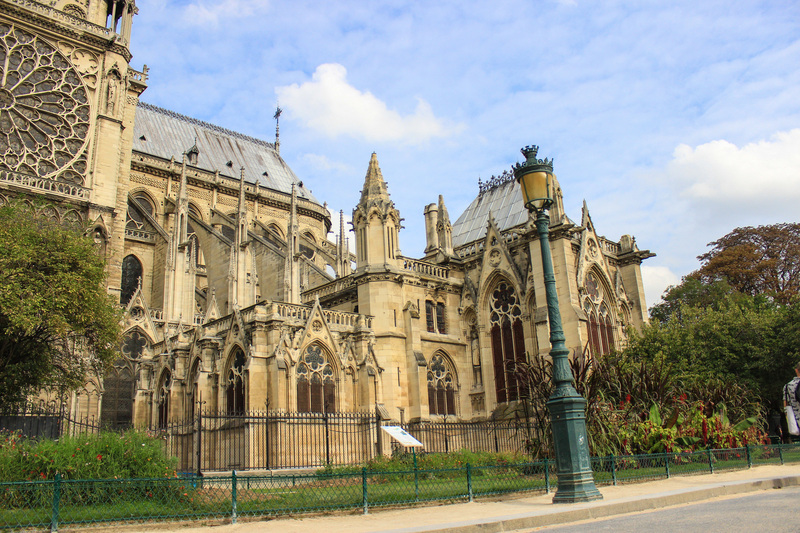 as the bus pulled out of the station, i began thinking of my travels so far, and my experience in paris. paris had been a little difficult for me. it was the first time i had been truly tested with a real language gap. on most of my travels, even before europe, i have been able to get by with broken spanish, or other locals have spoken enough broken english for us to communicate. but whether by spite or by apathy, paris had not embraced me as a traveler the way other places have. and why should it? i’m just a tourist,i am gifting nothing to it other than my visitor money, and for a short period of time at that. i am only traveling on a selfish errand, to take in the sights and experience things for myself. at worst, i add to the congestion of the city, i am taking someone’s place on the metro who uses the train every day for commuter purposes, i am sitting in someone’s seat at a café, i am clogging the beautiful gardens all around the city and subtracting from their attractiveness simply by being there and snapping photos. and i do all this without speaking a word of their language, forcing their everyday lives to be interrupted and making them go out of their way to accommodate me. it is a very selfish thing that i do. my good friend, micah, has a term for this that he coined. it’s sort of a tongue-in-cheek witticism, but it fits: ego-tourism. when you are an “eco-tourist,” it means that you are staying in environmentally friendly sleeping arrangements, your activities all do their best to minimize their impact on the environment around, and you are conscious of the footprint you leave behind. but when you are an “ego-tourist,” you are going about your trip in a mindless consumer fashion, where everything you do is about your experience and what you can take back with you. to be clear, an ego-tourist is not the opposite of an eco-tourist, as the two are not mutually exclusive, but these two terms focus on different things. nevertheless, i am aware that i was an ego-tourist while in paris, and therefore, it makes sense that i should feel a little lonely about my time there. luckily in my last 24 hours, i had two parisians in david and anaelle who helped me feel a little more comfortable and understanding of the culture, for if not for them, i would have no desire to come back. but they awakened my eyes to the layers that paris has, layers which cannot be peeled back in such a short time. and were it not for the lack of time that i have, i certainly would have allowed myself to try and give back to paris in some way, that i might connect with it on a deeper level like i had with amsterdam and iceland. 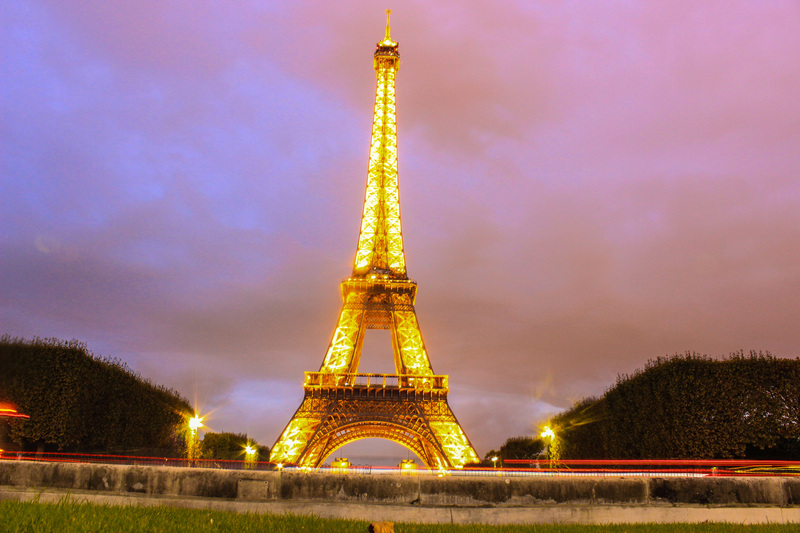 i will return to paris someday and i will do things very differently. i will rent a flat in canal st. martin, i will sit on a sidewalk café, i will drink white wine and eat bread and cheese, i will watch carelessly as people walk this way and that, and i won’t have a damn thing to do. And it will be perfect. as these thoughts did laps around the inside of my mind, i had a sudden desire to have one last look at the city of lights. to glimpse the man-made wonder of paris, but alas, this bus had been rolling for at least 20 minutes, and had already departed from the outskirts of the city. i franticly looked out the window, searching for anything recognizable off in the distance, a structure, an arc, a tower, anything. but i couldn’t see anything. i settled back into my window seat and settled for the streetlights along the highway, minorly depressed that this was how my parisian holiday was ending. i sat in disappointment for a few minutes when suddenly the bus changed trajectories, following the road as it winded to the side and climbed up a small hill. i was still dejectedly staring out the window at the large wall and lights lining it unexpectedly dropped away and revealed a long, lazy view of the urban sprawl of paris. Surprised, I refocused my eyes and gazed out into the twinkling expanse in the twilight. and there it was. among the darkening sky rose one monolithic bastion of the romance of the city, finally extending a tiny grace to me in a way that only i could hope for: the eiffel tower stood glowing and shimmering far off in the distance, barely perceptible among all the other illuminated structures, but still standing firmly as if to simultaneously bid me adieu and tease me at the same time. What a perfect farewell from paris. the next morning i ambitiously set off on my goal of taking down the louvre in one day. for the record: this is not really possible. either you will run out of time, or the louvre will simply wear you down. The louvre always wins. nevertheless, i arrived at the louvre first thing in the morning, in time for the doors to open. i was intent on trying to enter thru one of these “famous only on the internet” secret entrances to the louvre, so rather than line up with all the other tourists, i headed for the “porte des lions,” a small door just a little south and west of the famed pyramid entrance that has become an icon across the world. as i approached the entrance i felt proud of myself for doing the work the night before so i could cleverly and smugly skip all the lines and have the louvre to myself for a time until the throngs of other tourists caught up to me. but as soon as i tried to enter the small revolving door, i noticed that it wasn’t revolving. not sure if i was pushing hard enough, i started to increase my effort when i noticed someone inside sitting at a desk waving his hands in the air, shaking his head frantically side to side with a look on his face as though he had just ingested spoiled milk. to verify he was signifying that i was not allowed to enter here, i silently made an inquisitive face and drew my hand horizontally across my throat making the “off with his head” gesture (and now that i know more about the history of paris and its relationship with the guillotine, i realize that this is probably not a good gesture to make in this city). he didn’t change his behavior and just kept waving his hands and shaking his head until I turned around and walked away. time to wait in line. (and for the record, i looked it up later. this entrance is frequently closed according to other travelers online. you need to call the day before to ensure it will be open. so if someone else has had success with this entrance, please let me know about it in the comments section. i’d be very curious how it works). the wait ended up only being like 10 minutes because i had gotten there so early in the morning (alternatively, you can pay extra and buy a ticket that lets you skip the line. definitely worth it if you’re leisurely strolling up around lunchtime, see below for info), plus standing in line next to that big glass pyramid is actually pretty cool. 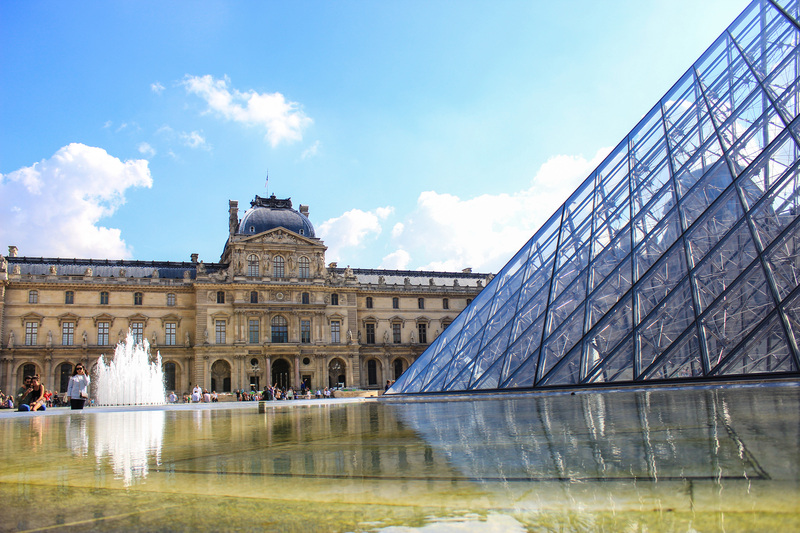 it wasn’t a part of the louvre until 1989 when it was completed after president mitterand controversially commissioned it. the most popular and biggest museum in the world still only had normal doors at that point, so the key french officials and curators came together to think in a more advanced fashion than parisians typically do (it seems to me that the parisians never want anything to change, they always like things the way they are. doesn’t matter if the change is good change. Any change is bad change to them. I think this is endearingly funny. then again, you could make the same case about a lot of my fellow americans). 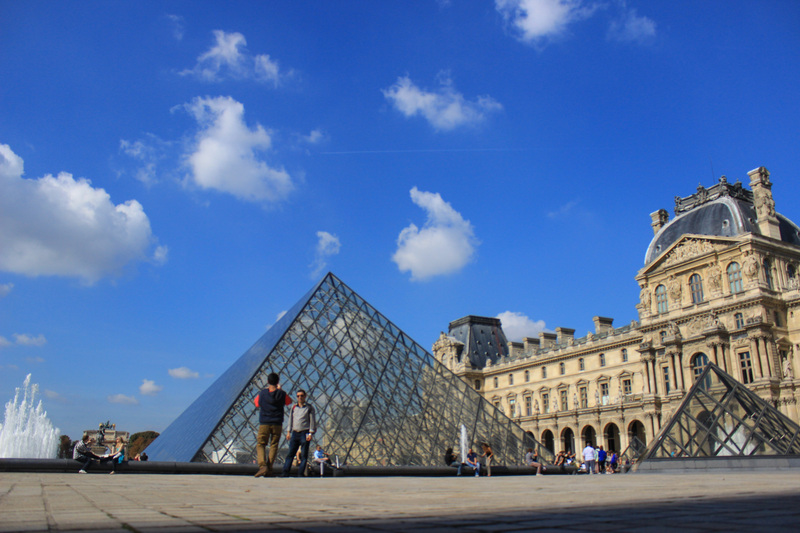 So they came up with a way to “go big” in the typical french fashion and created the pyramid entrance, dramatically reconstructing the internal center of the louvre. if you must snap a pic, ask yourself “why? what will i do with this photo?” remember that a straight-on photo of the mona lisa has been seen by every person in the world, even if not in real life. nobody gives a damn that your cellphone was 20 feet away from it. plus, everything you see in there can be found on google images. If you need to show somebody back home what you saw, use that. in other words, when you’re in the louvre, spend your time wisely and in all other cases, just keep moving. this is also good advice in case of a zombiepocalypse. after about 5 or 6 hours of the louvre, i felt my eyes popping out of my head and my feet were going to fall off, so i got out of there. as i exited, i could see the arc de triomphe looming off in the distance (not the small fake one right across the way from the louvre pyramid, the actual one a couple miles away, straight down the champs-elysees), and decided to climb it. running each other off the road to get to the next exit from the turnstyle. let me save you the trouble. 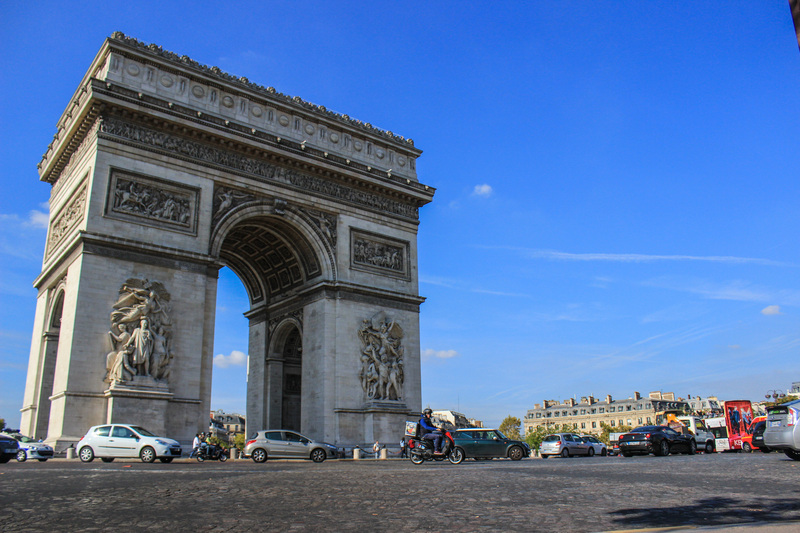 if you are approaching the arc from the champs elysees in the east, the entrance is on the other side of the arc, the west side, on the northern sidewalk. there is a little staircase leading underground which will take you under the roundabout and up into the arc. you’ll need a ticket to ascend the 280 stairs to the top, but I think it was less than 10 euros, so it’s worth it. the view from the top is spectacular, mainly because paris is so expansive, and the weather was perfect. As with everything in paris however, there are always crowds to fight, so beware. after i had finished taking in the view, had to run across town over to the canal st. martin area to meet my friend anaelle, whom I had met in iceland. anaelle was one of the self deprecating french friends that I made in reykjavik whom had been very insistent that I come visit them in france. as exhausted as i was from all my traversing all over the city those 3 days, i was very eager to have a full conversation with someone. 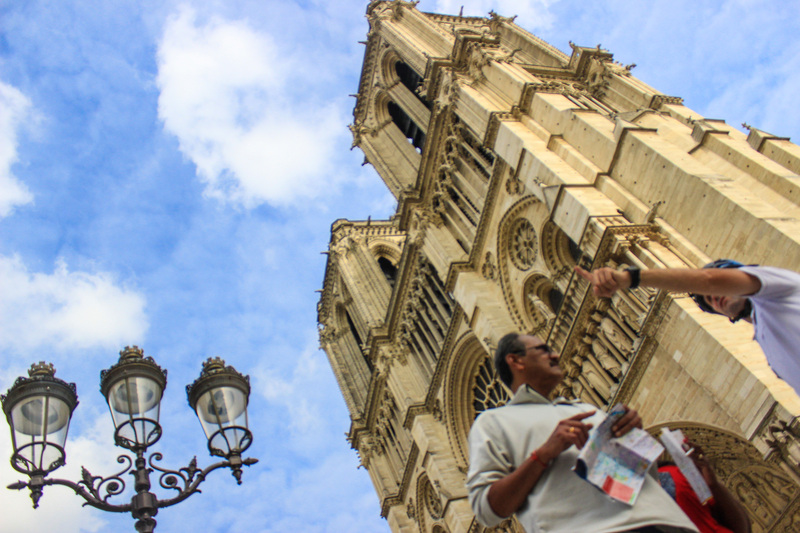 even though i had been getting around and productively seeing all the main sites, all my interactions with people in paris thus far had been limited to pointing to things and hilariously trying to pronounce french words and failing miserably. the most in-depth conversations i had been in so far had been with ticket agents. anaelle and i had agreed to meet in the neighborhood of canal st. martin, at a mcdonalds, because if there’s one thing an american knows how to find, it’s a mcdonalds (i actually play a game when i travel internationally. every time i see a mcdonalds i proclaim “found it!” these are the kinds of things you develop to keep you sane when you’ve been traveling alone for too long). i arrived about 10 minutes late, but anaelle didn’t mention it. when i had met anaelle in reykjavik, my friends gregory and thomas had introduced me to her and i awkwardly failed on the greeting. i’m not completely sure how it works, but i believe that when men and women meet in france on an informal basis, it is customary to do one of those kiss the right cheek, then the left cheek things, instead of in america where you would shake hands, or if you’re more comfortable with the person you just give them a hug. i could google this and instruct you properly, but i’m writing this from a train with no internet connection, so i’ll just settle for once again looking like an ignorant fool. anyway, in iceland i extended my hand to shake anaelle’s hand when she was already moving in close, so i assumed she was giving me a hug. so i changed my approach and gave her a light hug, locking her awkwardly onto my right cheek and then releasing her, realizing she had kissed my cheek. the end result was total confusion between both of us as to what had just happened. i sincerely wish i had that moment on video, because even now when i think about it, it makes me laugh out loud. so this time when i met anaelle, i executed the proper french greeting between a male and a female. outside the mcdonald’s. how ironic. anaelle is an attractive student in her early-mid 20s with a sweet smile and a friendly, happy-go-lucky disposition. when she speaks, it is through a thick french accent, but i’d be lying if i said it wasn’t one of the sexiest accents i’ve ever heard; i told her to never improve her english, just speak exactly the way she does forever. she originally had met my friends gregory and thomas at the airport departing for iceland in the security line. they had all been late for their flight and were hurriedly trying to make the gate before it closed when they all realized they were going to the same place. they became friends, and eventually i met her on their last day in reykjavik, near the beginning of my trip. 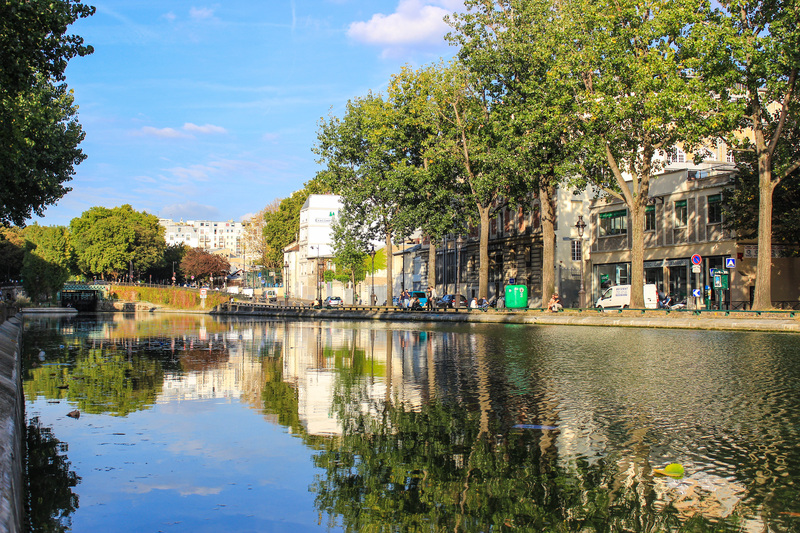 anaelle did not know me very well, but she somehow intuitively knew that what i had craved most from paris was authenticity and something a little more in between the extremes of how i had been experiencing the city: evenings in the ghetto and daytime at the luxurious tourist traps. so rather than head straight to a restaurant or a bar, she suggested we walk around a little and let her show me the neighborhood. despite my aching feet, i gratefully agreed. we walked for about an hour around the bastille neighborhood, up through republique, and over to canal st. martin, and it was here that i knew i should have been spending my time. this was the area i had imagined in my mind would be my paris. i was torn. i was so happy that it did in fact exist, and that it wasn’t just some fiction in my mind, but i was sad that i had only just now found it, and it was almost time to head to germany. anaelle explained to me that this was more of an artist community. lots of artists and musicians and aspiring fashion designers and students live in this area, creating a culture of creativity and progressive free-thinking. it sounded marvelous. we walked along the canal, finding small grass lawns and parks where people were sitting on blankets and drinking wine, eating bread, talking. she explained to me how lucky i was with the weather. apparently it had been raining every day for like a month straight, and then suddenly right when i arrived it stopped and was nothing but clear skies. we stopped and found a patio overlooking the water to have a beer and rest my aching feet. we talked for another hour before anaelle had to leave to meet someone else that she had made plans with before i had contacted her. we left the patio and she helped me find a restaurant where i could get some decent food. we said our goodbyes and i earnestly thanked her for taking a little time to hang out with me. i hadn’t spent enough time preparing for paris, so unfortunately i paid for it a little. i had been having so much fun with my new friends in amsterdam that i hadn’t bothered to do any recon on where i was going next. i had originally planned to go straight to germany after, but last minute i had decided on a quick jaunt of paris. i simply booked a place run by Hosteling International (an organization i’m a member of which had treated me well in Iceland, and which gives me a discount when i stay at their hostels) and then i hopped on a train. as soon as i arrived, i realized that this was going to be one of the more difficult places for me to travel, and I really should have done more on the front end to make my life easier. 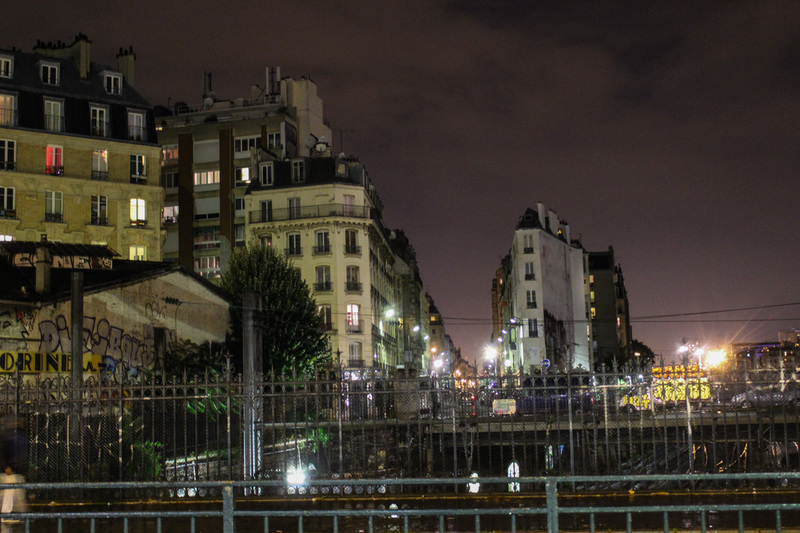 The first problem was that I had chosen a hostel in the near the main train station at the north side of paris, gar du nord. I had chosen it because I wanted to be somewhere with easy access and that was easily walkable from my arrival point. word of advice: this is not a good way to travel. don’t choose your headquarters simply based off it’s proximity to a travel point. surely, this will be a factor, but if you are staying somewhere longer than 2 days, this won’t be as important, especially if you are using public transit like subways and trains which are more than adequate and safe in europe. better to pick a neighborhood that will inspire you and will be near all the things that you want to partake of or experience while you are there. that way you won’t have as many factors that take you out of the moments that are building your memories. the problem with my hostel is that it was basically located in a fairly run down part of paris. Somewhere in the 18th arrondissement (paris is broken up by 20 districts that start in the middle and spiral outward like a snail shell around the city), i was staying right in the middle of little algeria and little india. okay, it does kinda look cool at night though..
i have nothing against algerians or indians, and i’m sure there are plenty of cool local cultural experiences that one can partake of in this area, but that’s not what i came to paris for, and i can get indian food anywhere in the world when i want it. i came to paris to experience brilliant architecture, amazing art, good music, good wine, and sidewalk cafes filled with snobby french people smoking cigarettes throwing baguettes at each other (okay so i think the french are too apathetic about everything to ever throw a baguette at someone else. plus they’d never waste a good baguette). this neighborhood didn’t really have any of that going on (at least that i could find). after doing a few laps around my neighborhood for a couple hours and failing to be allured by anything nearby, and also silently cursing myself for not being more diligent in my prepwork, I decided to change the gameplan. right away i found a bicycle tour of the city i could jump on and get the lay of the land. charl and kim from amsterdam had strenuously recommended “fat tire bike tours” as a must-do, so i located their office and went straight there. it was a fantastic tour. our guide, a pocket-sized belgian girl named “rabine” was a little ball of commanding energy that safely and comically guided a group of over 20 through the maniacally busy streets of paris, viewing a number of key landmarks like the eiffel tower, the louvre, the jardines de tuleries, and a number of important historical buildings originating from french kings louis the 14th – 16th, and some points of interest related to napoleon bonaparte. It was a great way to spend 4 hours of your 1st day and figure out where everything in paris is at. the next day i arose early and went straight to the palace of versailles, the residence of louis the 14th’ located outside the city. i wasn’t expecting much more than a bunch of overrated touristy french history, but actually this place is worth a stop on your trip. versailles is a 30 minute train ride outside paris and once you see it, it magnificently grabs your attention (plus, if you’re like me, i can only be in a city for so long before i need an escape. this is an easy escape from the city). louis kinda had a complex and he wanted the entire world to know of his legacy, so he commissioned building after building in his own honor throughout paris, but for his house, a simple castle wouldn’t do; he built himself a small town. the entire residence is seriously bigger than some of the towns i’ve been thru in europe now (honestly it’s so big that i don’t have any photos to really share of the property because they just don’t capture how grandiose this place is. imagine ceasar’s palace in las vegas and then multiply it by like 100 and then use the rest of the vegas strip as a backyard. now you have versailles). it’s ridiculous, but the best part is easily the expansive gardens out back from the chateaux. after a quick run through the palace, i had to get away from the crowds so i rented a bicycle and tried to get as far into the gardens as possible. i rode for 30 minutes around the canals before finally finding a quiet spot to sit down and enjoy my own little picnic. okay, if i’m totally honest, i also tried to take this crappy little mountain bike rental off the road and down a small trail into the trees. I was doing well until I pulled my gopro camera out to try and record it and then hit a pothole and flew over the handlebars. luckily the only thing bruised was my pride. i’m a dumbass. all in all, the gardens at versailles are a great place to spend a lazy afternoon if the weather is right. i can see why the megalomaniac louis had the place built (mainly to hunt, actually), because i would spend all my time there too if I was a king and didn’t have to actually work all day. he also had a lot of cool side gardens built that you can just get lost in, like some beautiful labyrinth full of botanical splendor and random sculptures spread throughout. eventually i walked in and grabbed a table and ordered a beer. I stayed there for 4 hours, just people watching. At least I had been able to capture a small window into my previous ambitions of just absorbing the parisian lifestyle. content, I found my way back to the metro and wandered back to my poorly located hostel and slept soundly. hostel not to stay at: hostel yves robert.